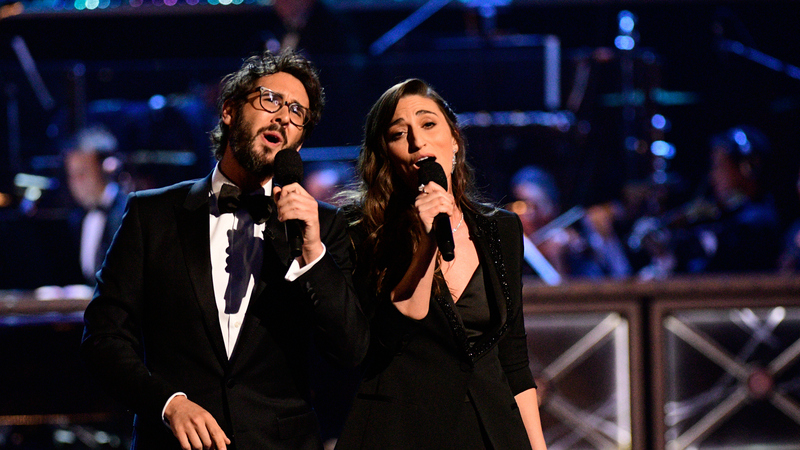 Josh Groban and Sara Bareilles perform the opening number at the 2018 Tony Awards. The 72nd Annual Tony Awards® was packed with stunning performances from the year's nominated musicals—and plenty of surprises, to boot! Hosts Josh Groban and Sara Bareilles kicked things off with a fun opening number that celebrated some of the night's unsung heroes: those nominees who don't end up walking home a winner.